Set of Rock & Dj Party Flyer layout templates. 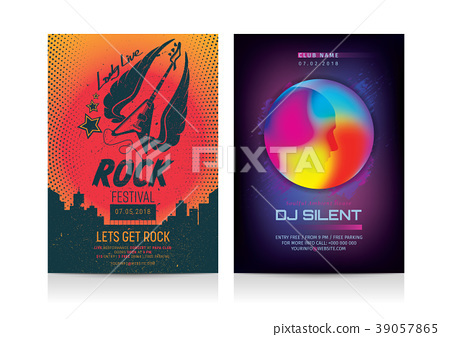 Stock Illustration: Set of Rock & Dj Party Flyer layout templates. Set of Rock Music & Dj Party Flyer layout templates. Mockup Vector illustration.